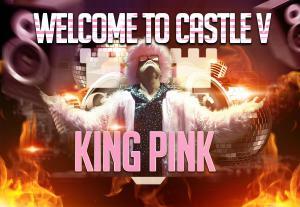 DALLAS, TX, UNITED STATES, October 20, 2018 /EINPresswire.com/ — One Dallas serial entrepreneur Paul Brough is legally changing his name to King Pink next month in preparation of him having his own country. For over a year, Mr. Brough has been covertly working with several Caribbean governments on his $200 million film studio vision that he wants built in his own country. That's right, his own country. Now one of the best islands in the Caribbean, Aruba, is Paul's #1 Caribbean island to make a land deal with for his visionary film studio project and the formation of a new country. In exchange for land on the undesirable, backside of Aruba, Paul guarantees government officials his project will become the most desirable tourist destination in the Caribbean. Plus create hundreds of new jobs, inject billions of dollars into Aruba’s economy and secure Aruba’s financial future for generations to come. Eager to get his project approved, Paul guaranteed government officials he’d deliver on what he said or he would spend the rest of his life in an Aruban prison. Paul agreed that his new country would never have a military or police force and the country's population would never exceed 200 citizens. And, Aruba's government collects – forever – an undisclosed percentage of all the revenue generated by Paul Brough's new nation. Aruban laws will govern Paul's country while Aruba's currency, the Florin, will serve as the country's currency. Living nearly five years in Aruba, Paul believes his former island home is the perfect place for his project. “Aruba has one of the lowest crime rates in the Caribbean. Aruba sits outside the hurricane zone. Near perfect weather year long. Tons of water, land, and nighttime activities. Amazing hotels, food, and culture. The friendliest locals in the Caribbean. ” states Paul Brough or soon to be King Pink. One question we asked Paul is, “Why do you want your own country for your project?” He replied, “It’s the most outrageous marketing, publicity stunt you could imagine. People from around the world will come to vacay at Aruba to visit the one-of-kind global tourist attraction – a new country. A country where everything is painted pink. Pink is the universal color of pink.” Paul's mandating that his citizens must volunteer ten hours a month at local Aruban nonprofits and Aruban citizens can get free training in the areas of technology, film production, and entrepreneurship through Castle V's vocational school. Visitors will be welcomed to visit the centerpiece of the new nation, Castle V. Castle V is a modern-day castle with apartments and almost every conceivable amenity. Planned inside Castle V is a film studio that will produce the 350+ films Paul Brough has secured. The plan is to power the country with 100% renewable energy sources and provide water through an onsite solar water-desalination plant. Paul’s future expansion plans include building a world-class aquarium, zoo, water-park, and themed-ride amusement park which will always be free for Aruba's citizens. Visiting Paul's country will require tourists to arrive exclusively through Aruba’s airport or cruise ship terminal. Earning money to support his country will come from companies spanning several industries that include entertainment, technology, media, and education. WIth 148 new reality series concepts secured, Paul plans to launch Yeahclix, a monthly Netflix-like subscription service. As a goodwill gesture, Paul agreed to produce several weekly reality shows that will showcase Aruba. For the thousands of creative people that have already applied to be part of Paul's vision, only 150 will be selected. Paul has bodaciously promised the first 100+ employees will be millionaires within seven years. On top of salaries, profit-sharing, Castle V's amenities, employees will enjoy rent-free living, shared toys, debt forgiveness, and free medical, dental, and plastic surgery.